Yesterday I told a friend that I felt like I was running the 50-yard-dash in the Mom Olympics. I joked that I could almost hear the starting pistol the moment I left my house. In the span of just a couple hours I went to my daughter’s school to fill out a form and drop off a check, I picked up the groceries I’d ordered online, I called an insurance adjustor, I picked up my youngest from the babysitter, I plugged my phone into my car’s speakers to listen to a videoconference, I put gas in my car, I prepped chicken for dinner, I messaged back and forth with my manager about that conference call we were still on, I wiped a child’s bottom, and I made macaroni and cheese that did not come from a box. If a busy afternoon feels like a sprint, then difficult seasons of life feel like battles. Like in-the-trenches, taking-fire, deflecting-bullets kinds of battles where we’re not sure where the attacks are coming from or when they’ll stop, where we’re not sure we can keep fighting long enough, where we’re not sure we have what it takes to outlast the other side. Last weekend I ran into an old friend, and she said she’d had a rough year. I didn’t press her, though I offered a sympathetic smile. But she was ready to talk, and she shared just what her rough year had entailed. “Rough” was no exaggeration, I thought, as she told me about death and drugs and hurt family and lost jobs. “I never thought these things could happen to me,” she said. I nodded my head because I knew what she meant. I’ve thought those words. And recently I’ve heard them, from so many people I care about deeply. So many of my friends have been blindsided by bad news this year, thrown into battle unprepared and uncertain if they’ll survive. 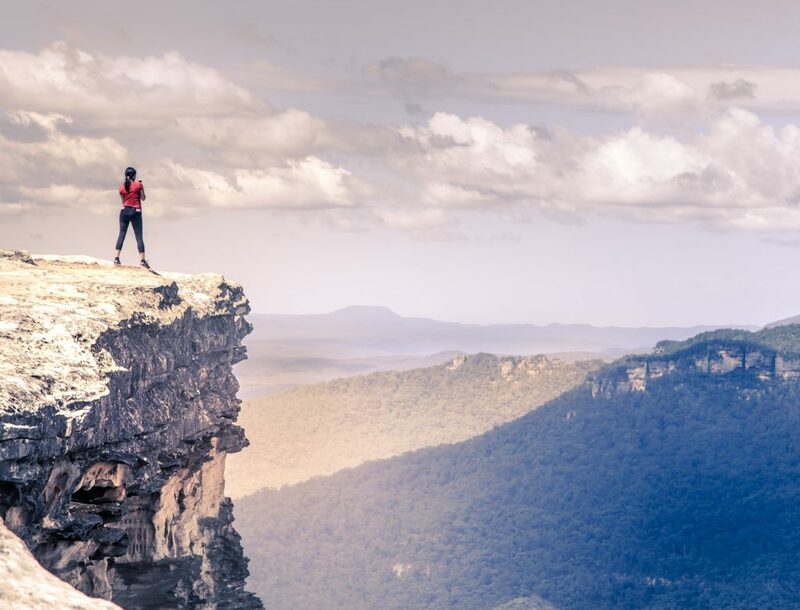 I’m intimately familiar with that undercurrent of fear, that deep stream of doubt that whispers and shouts, pokes and hammers, telling us we can’t survive this. We aren’t strong enough. It’s too much. Too hard, too sudden, too long, too complicated. Too much. Where are you today? Do you find yourself facing a foe you never expected to see? Are you in the middle of a battle that seems endless, that you’ve been fighting for as long as you can remember? Are you weary? Or uncertain? Do you feel alone? Or just exhausted? I believe you can win this fight. I believe you were made for this moment. I believe in you. 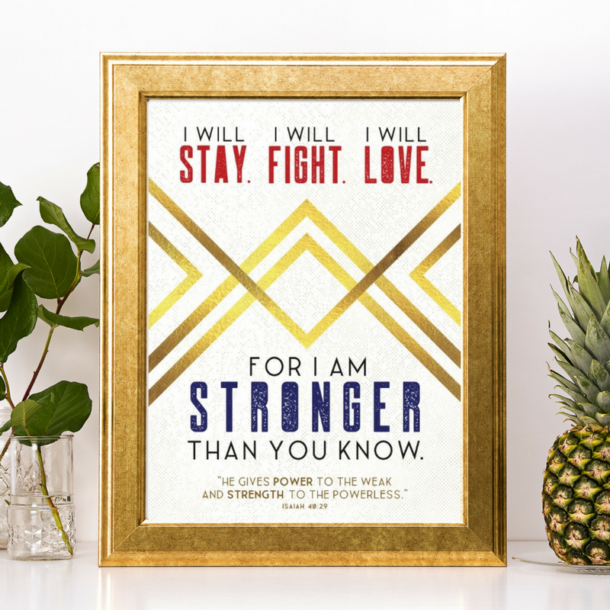 Like a superhero realizing her power, you are stronger than you know because you are loved by God, and He will give you the strength you need. You know what that means, right? 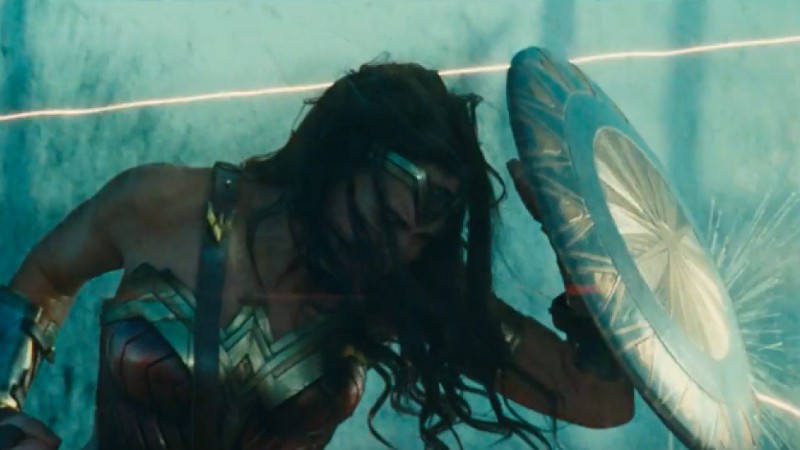 That means somewhere inside, perhaps buried beneath the doubts and fears or mixed up with the exhaustion and confusion, you have an inner Wonder Woman. Yes, you! I believe in you, and I believe you are strong enough for whatever you are facing. 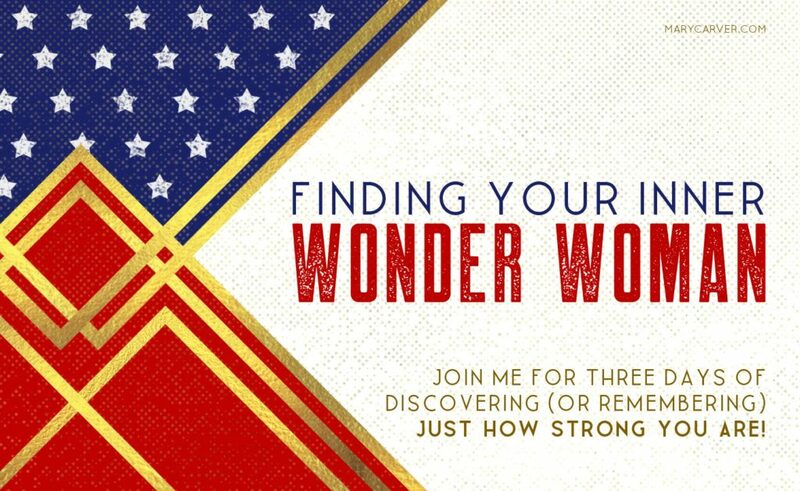 And I would love to help you find your inner Wonder Woman with encouragement I’ve found in both the fictional character of Wonder Woman and the foundational, unshakeable truth of Scripture. It might seem like a funny mash-up, God’s word and a comic-book superhero, but I am confident we can be inspired by both. 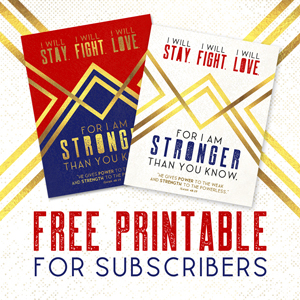 And I’d love to send you three devotionals to help you find your inner superhero, your God-given strength. These devotionals will not be available on the blog; but for a limited time, you can receive them for FREE by signing up here. Fill out this form by midnight on Monday, September 25, and I’ll email them right to your inbox. and be placed on a waiting list for the next time I share these devotionals.